Nowadays, "Looking at the Spring Festival Evening in the New Year's Eve, watching the movie on the first day of the first month" has become the "new rhythm" of the Chinese New Year. Because of the long cycle, large flow, family and other reasons, the "Spring Festival file" is becoming the "land of the military". This year's "Spring Festival stalls" and "Wandering Earth" and other 8 large-scale films were released, with diverse themes and fierce competition. However, unlike the industry's attention to the overall benefits of not reaching expectations, sci-fi movies to achieve breakthroughs, etc., for the general audience, the general feeling of this year's "Spring Festival stalls" is that "movie tickets become more expensive!" According to the statistics of cat's eye, on the first day of the first month of February 5, 2019, the total domestic box office had a total box office of 1.439 billion yuan (including service fees), and a total of 31.899 million tickets were issued, of which more than 91% belonged to the network, and the national average fare was about It was 45.1 yuan, up about 15% from the same period last year. "How can a movie in the Chinese New Year be so expensive? A family of four people needs more than 500 yuan." On the second day of the first month of the first month, Mr. Wang, who is redeeming a movie ticket at a shopping mall in Beijing, told reporters, "We are going to watch the 16-and-a-half "Wandering Earth." ", 140 yuan a ticket, other games are not cheap." A number of interviewed audiences said that this year's "Spring Festival" movie prices are obvious, it is difficult to buy cheap movie tickets on various aPP tickets. The reporter observed that the fare rose, and the audience in the third- and fourth-tier cities felt the most obvious. "My small county town usually costs 28 yuan, the Spring Festival 45 yuan" "hometown four-line city, a 2D movie ticket actually wants seven or eighty" "Coordinates Henan Gushi County, "Crazy Alien" is the most expensive 68, cheap also To be 56.9”... On social networks, many netizens shared similar experiences. Why is the "Spring Festival" movie ticket price increase? Some insiders analyzed that the change in supply and demand and the reduction in “ticket compensation” are the main reasons. During the Spring Festival, the population of non-first-tier cities has returned to a large extent, bringing a peak of photography to local cinemas. For many small studios in the third- and fourth-tier cities, the usual attendance rate is “dismal”. 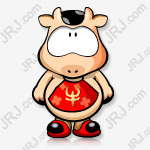 For the sake of profitability and even survival, the price increase in the “Spring Festival” is an inevitable choice. In addition, although the current online ticket purchase has become the main way to purchase tickets, the online price subsidy put on the film's side this year has been greatly reduced, which directly led to the increase in fares. It is understood that the movie tickets become more expensive than the audience spit, but also have a certain impact on the entire "Spring Festival" film market. According to statistics from the cat's eye, although the total box office of the first month of February 5th has set a new one-day box office record, the box office has dropped significantly since the second day of the first month of February 6. The total box office on the 6th was 990 million yuan, which is more than the same period last year. Nearly 40 million yuan. In terms of the number of people watching the movie, compared with the number of 32.63 million tickets issued in the first month of 2018, the number of viewers who chose to go to the cinema on the first day of the year was 731,000, and the number of people watching the audience was about 84 from last year. The person dropped to about 62 people. "Watching a movie is a pleasure during the Spring Festival, but the fare far above the normal level will add to the people's interest, which will affect the viewing experience. 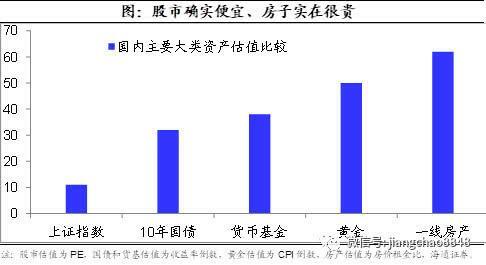 In today's entertainment consumption choices are increasingly diverse, the audience is more and more difficult to please, look at the view The shadow of the climax 'cutting the leeks' may overdraw consumers' expectations for the future 'Spring Festival'," said a theater manager in Chengdu, Sichuan.